As we approach the grand opening of the Montage Residences, I want to take a moment to look at these luxury properties from an investor’s point of view. There are many amazing options when it comes to investment properties in Cabo San Lucas—after all, more than one million tourists visit the area each year. However, the Montage Residences stand out as one of the few high-end options currently available. Especially for clients who count on the seclusion and privacy the Santa Maria Bay has to offer. 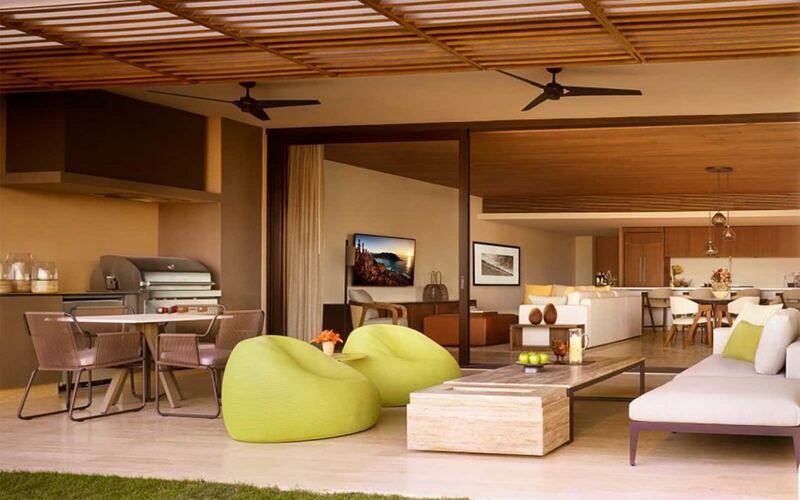 Apart from the fact that the Montage Residences come with a myriad of benefits for those who wish to live in Cabo San Lucas full-time, they are also ideally situated as investment properties. Property management services come built-in for those who wish to rent our their units while they are away and 24-hour security and maintenance are available to ensure your home remains safe and well-maintained. That doesn’t mean you can’t have your cake and eat it too. Whether you invest in a two-bedroom or three-bedroom property, both layouts come equipped with a spare bedroom that can be locked-off from the rest of your home. This bedroom comes with its own private balcony, bathroom, and entrance and can be leased out as a vacation rental whenever you’d like. Or you can open it up to the rest of your home whenever you have guests coming to stay with you. As you can imagine, this gives you the opportunity to have two vacation rentals available at any one time. Or you have the option to rent out the entire residence if larger groups wish to stay. Either way, guests have access to all the amenities the Montage Residences have to offer. That includes more than 10,000 square-feet of pool space including a swim-up bar and gourmet dining experiences. Your guests won’t even have to leave the property to have the time of their lives. Of course, all of this means you can enjoy earning income on your investment properties in Cabo year-round—without the hassle of providing property management services. The Montage Residences will take care of the marketing, leasing, managing, and cleaning of your unit or units whenever you are away. If you decide to come stay with your friends and family, your property will be ready and waiting for you. Spend the day playing golf with your friends, enjoy a swim in the ocean, head to the Montage Spa for an afternoon, and gather on the terrace for an amazing meal as the sun sets over the Santa Maria Bay. You’ll be able to go to bed knowing that you have an investment property that will make money while you sleep. And if you need any help—feel free to give me a call. As a buyer’s agent for the Montage Residences, I can negotiate sales at these luxury properties, and would be happy to help you.